Kings Dominion received one heck of a gift following the closure of the ride portion of Geauga Lake. 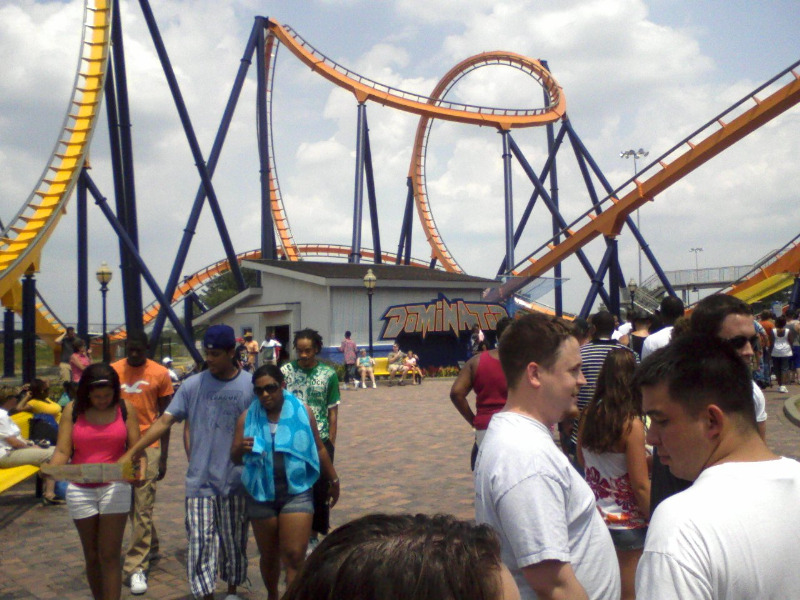 Dominator stands tall above the parking lot and is a major attention-grabber with its colossal inversions. The speedy first drop is pretty good, especially towards the back of the train and the following vertical loop is excellent as it combines strong positive Gs at the bottom with some decent hang-time at the top. Then the coaster pulls off a cobra roll really well. Usually I find these inversions a waste of space, but this one is smooth and disorienting. While the second half lacks the speed of the first half, it still features a surprise pop of air off the brake run and two large corkscrews. Dominator is a really good floorless coaster and easily one of the best coasters at Kings Dominion. What can I say... my favorite floorless and one of my favorite coasters. I loved it when it ran at Geauga Lake, I love it at Kings Dominion! I think that Dominator is the coolest steel coaster that been on. Dominator sure beat the Joker Jinx at SFA by 100%. And this coaster is the longest looping coaster that I ever been on. Dominator is so fast it dose not feel like your going upside down. The best place to ride Dominator is in the 1st row and ride on the 1 or 2nd seat because you feel like your riding off the track. Even though the lines might be long but it’s well worth it. And it’s very awesome riding Dominator at night. If you never rode Dominator yet at Kings Dominion you just got to ride it. If you’re riding Dominator you should stay to the right of the stairs for the front row and stay to the left of the stairs for all other rows.